As a solo-traveling kite addict I combine work, travel and play and several months a year all I travel with is my kite gear and as I call it “my mobile office”. 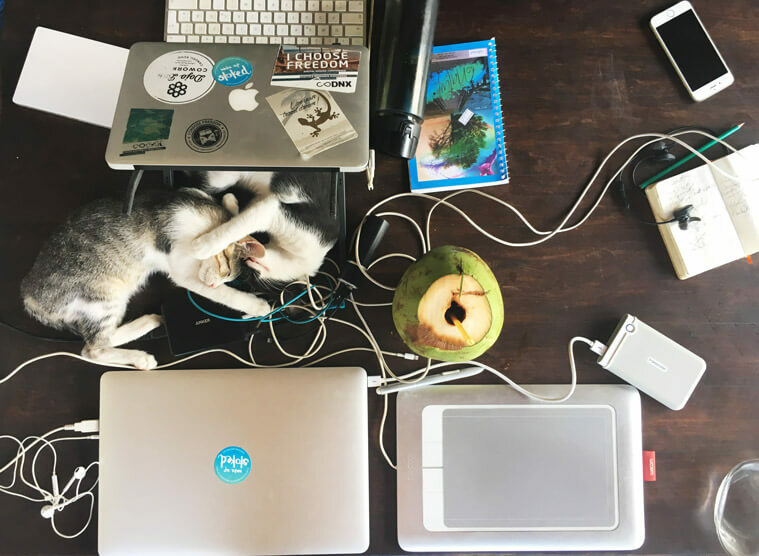 I tried and tested a lot in the beginning and this is everything I take with me plus all my favorite apps and tools for travel, kitesurfing and working remotely. 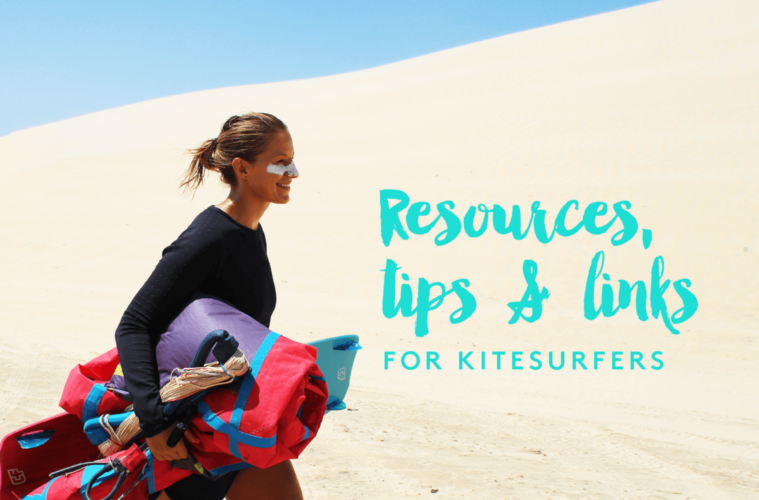 Put short – this is a guide to all the kitesurf resources and links I love to use! Osprey Farpoint 40 If my kite bag is not too heavy, I travel with a backpack as my hand luggage. I love this one since it’s pretty big and you can open the main compartment fully. I only travel with the big one if I bring all my technical equipment. Alternative: Hand luggage trolley Whenever my kite luggage gets really really heavy, I take a light trolley as a hand luggage with me since I can attach the kite bag to it and then pull it all at once. The best hack I discovered so far to pull even the heaviest kite bag! I have a hardcase since sometimes I might just check it in as well if it’s free to check in a second piece of luggage. Choose one with 4 wheels, it will make the manouvring of your kite luggage behind you way easier! Burton Daypack Annex I use this backpack for everyday and for the flight if I don’t have the nerve to bring the other one 😉 As I travel around and work at the same time I need a good and comfortable backpack for the everyday commute from my apartment to the coworking space of cafe. I love this one since it has a padded separate laptop pocket and you can also open the backpack on the back side with a zipper (without having to open the main compartment). Plus you can open the backpack completely on the top so I can easily get an overview in my (very chaotic) backpack inside. 3 in 1 GoPro Stick Selfie Stick which works as a camera grip/foldable extension arm/Tripod – all in one. DJI Phantom 3 Pro If I had to buy one now I would probably by the DJI Mavic Pro as it can be folded super small but the quality of the DJI Phantom 3 Pro is amazong. PIQ Fun little tool to measure your jump heights in the stormy sessions. I never was a tech geek but hell yeah this is fun! 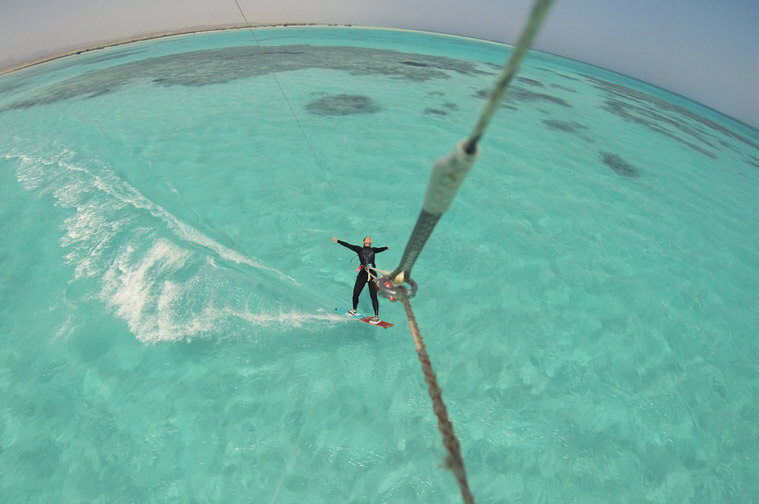 If you want to know how I combine work and play, check out my post on how I created the Kitesurf-Work-Balance or on why being a Digital Nomad fits so perfectly together with the Digital Nomad lifestyle. Wacom Intuos Pro M Digital drawing tablet I need for my design work. iPhone 6s 128 GB I also use it as my camera and to shoot small videos. Portable Charger Charges your iPhone 3 – 4 times (or your GoPro or anything that works with a USB cable). Great for spots where electricity is rare or for long roadtrips. External Harddrive 2TB Since I’m good at destroying stuff – it’s military drop tested and shock-absorbent. Skross World Adapter Pro For the whole world. It also has an adapter to fit two USB cables, comes in handy when you want to charge your GoPro and iPhone at the same time. Headphones Bose Quiet Comfort 25 Noise Cancelling – the BEST headphones that really cancel all the noise around you, makes even an airplane a perfect workspace. USB drive 16 GB To get pics from others or print something at the copy shop. 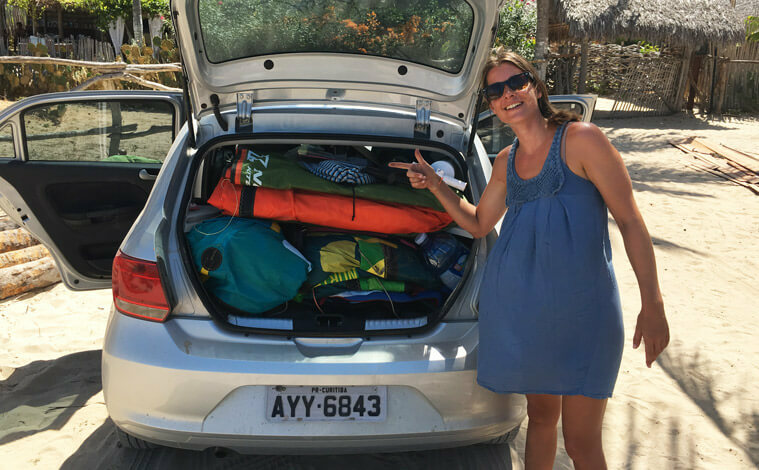 Check out my packing article to find out how I pack all my gear and clothes easily into a kitebag. Packing cubes The best way to pack/unpack quickly and keep your stuff organized. It also helps me keep my stuff clean since I just throw all of my stuff into the (often sandy) kitebag when I travel to the next spot. Dry Sack Osprey To keep your valuables dry or to throw your wet stuff in, can be used as a packing cube as well. Mosquito Stick Bite Away This tiny stick helps you to get rid of that itchy feeling of mosquito bites by heating up the bite locally to 51 degrees Celsius. The itching is gone – a dream come true! Travel towel I usually have a small and a big towel with me on my travels, it just saves a lot of space. 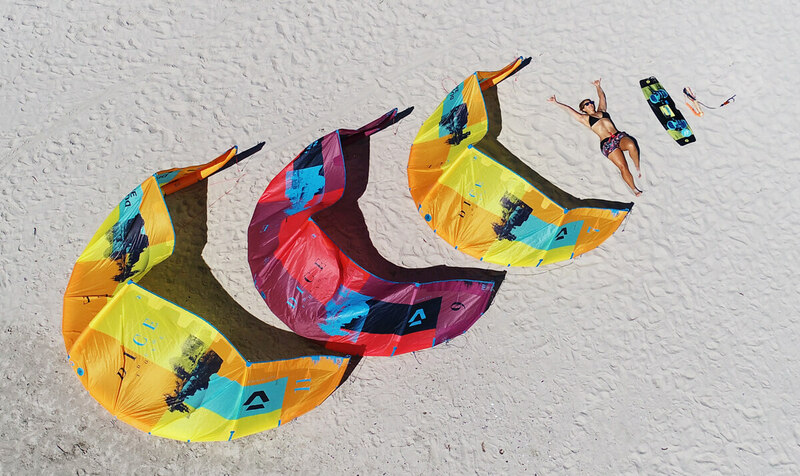 Sensi Bikinis Super stylish kitesurf bikinis that stay on you even during crashes! I also use them as bras mostly during my travels since they’re so comfy 😉 My personal favorite considering the cut is the Claire Top and Colleen Top. (If you want to order a bikini, use this link to get 20$ off your order). Compact Sunscreen SPF 50 (for girls, I wear gold/02) The most water-resistant toned sunscreen I’ve ever found from La Roche Posay. Suited for girls since it looks a bit like Make Up. Eco-friendly sunscreen I try to change to Eco-friendly sunscreen to protect myself from bad additives and more importantly the environment. I’m still experimenting but Reef Safe so far just has the best products for me. (In Germany you can’t get it unfortunately, I use Eco Cosmetics here). Revolut (Debit Card) (worldwide) Free MasterCard, you can withdraw money up to 500 Pound a month for free, it uses the Interbank Exchange Rate which saves you money, super modern App and system, you can send and spend money globally without any fees. Hanse Merkur For Germans: as a long time travel insurance I use this one – kitesurfing is covered as well. Plus if you should get back earlier, you’ll get the money back. You can apply for it online. World Nomads International insurance, you can do everything online even after you’ve left, it also covers adventure sports. The World Kitesurf Guide I also like to call this the bible of kitesurfing 😉 All your bucket list destinations in a great overview with detailed infos about the spots, best time to go as well as general travel info. Top 10 kitesurf spots pdf After a lot of research I put together my own Top 10 Kitesurf Spots pdf. If you don’t have it yet, you can get it here. Spot Guides Have you checked my pretty detailed spot guides? They’re an ever growing list of all the spots I visited. Travel guides by the iksurfmag The iksurfmag has a pretty extensive list of travel guides for a lot of kite destinations around the world. The bstoked kitesurf world map Bstoked cleverly designed a beautiful world map in which you can see the windiest spots month by month. It’s more of a rough ovreview and inspiration to give you an idea on where to go. They also have a pretty rad selection of different kite camps, kite cruises and kite adventures. Skyscanner Instead of putting in a city of departure you can simply put the whole country of departure and will get the cheapest flight. If you’re flexible you can also choose the whole month as the departure date and it will show you the cheapest flight. Swoodoo For some reason I just like swoodoo, since it has the flexible dates option (+-3 days) and I love the view you get with the grid, where you can see the cheapest flights depending on which day you fly. billiger Mietwagen German booking site with the cheapest rental cars – I’ve tried many different sites and this one really has the best deals. booking To book hotels and apartments, sometimes it’s even cheaper than airbnb. hostelworld I don’t like 16-bed hostel rooms anymore but sometimes it’s cheaper to get a single room in a hostel than in a hotel, if I’m new to a city it’s the easiest way of getting to know people. facebook groups for almost every spot I go there are facebook groups to ask for accomodation, like Cabarete, Tarifa, Jericoacoara etc. You can always try and search for facebook groups of the destination you’re going to. 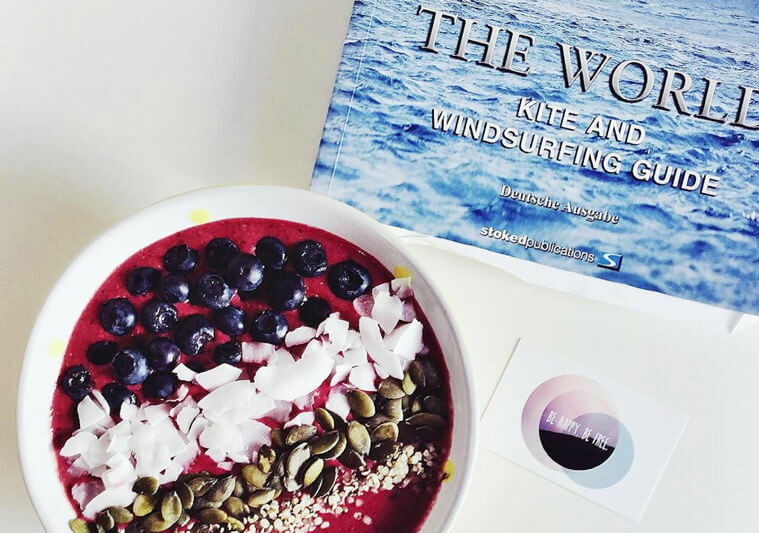 World Kitesurf Guide I also like to call it the bible of kitesurf travels 😉 So much spot inspiration and infos in one guide! Tricktionary A kitesurfing manual providing you with tons of inspiration on tricks which are all pictured in detailed photos. North A free App, I mainly use the North Academy with free teaching videos but there are tons of other features. Progression Simply the best app to learn new tricks, download them while you still have internet and then watch it over and over again while you’re sitting in a plane to the next kitesurf adventure 😉 You can either buy single tricks or whole collections. Dict.cc An online dictionary that you can load offline in one language at a time (you can always change it). Google Maps You can also save offline areas with google maps and navigate in them like this. Maps.me Pretty awesome map for which you can download whole country maps and use them offline. I usually do that whenever I don’t have a mobile internet sim card. Uber The best way to get around in cities. Get 5 Euro free credit with this link. Work hard anywhere Find working friendly cafes – usually only works well in bigger cities. Evernote Here I collect all my ideas, it’s my virtual notebook and I write all my articles in here. It’s synchronized on all your devices. Skype The best and easiest tool for video calls or also to call call phones and landlines from abroad for a good price. Slack This is a chat system for all the communication in location-independent teams. You can create different channels for different topics. Pocket To save articles for later and read them offline. Make sure to synchronize before your flight. Audible I love to listen to audiobooks, with this link you’ll get an eBook for free for the test month. Later To schedule instagram posts in advance, you’ll get 30 posts per month for free and if you sign up with this link 10 extra posts. Kitesurfing / Surfing / Sup /Running There is nothing that beats a workout outside! 7 Minute App An easy workout for which you don’t need any equipment. This is a good solution if you have very little time. Yoga Studio App (3.99 Euro) Download the workouts whenever you have internet and watch them even offline – my favorites are the Advanced workouts strength and combined. However, this is only my backup plan whenever there is no good yoga classes around the place where I’m staying. Runtastic It just motivates me to see how quick and far I ran so I love to track it. Freeletics Train with your own body weight. There are some free workouts, make sure to load them before starting the workout in case your internet goes down. Calm (Meditation App) they have some free meditations which I always use and you can choose different lengths from 3 to 20 minutes for your meditations. Great for beginners. DAWAY Y8 TPE Mat I love the colour, design, grip and support of the mat. 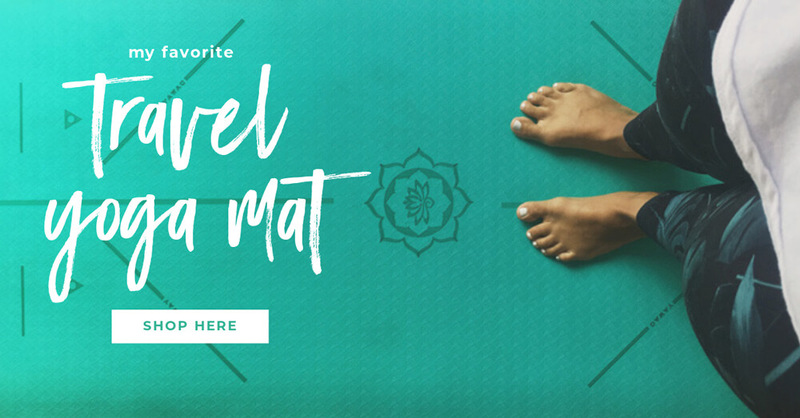 The mat is eco-friendly and not made out of PVC material. 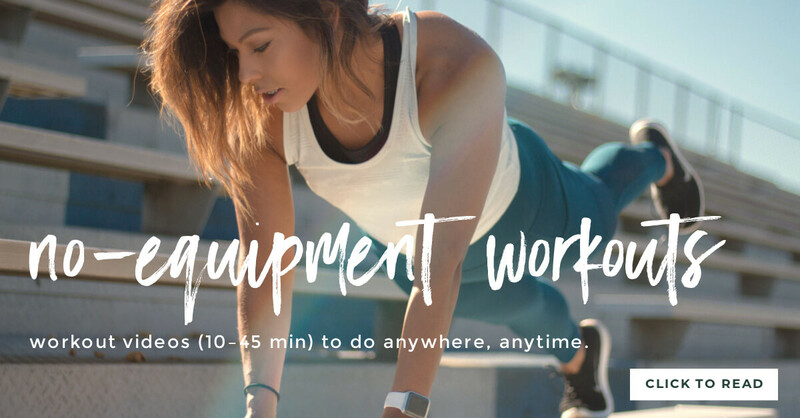 Check out this post for no-equipment travel workouts you can do anywhere, anytime. I know it’s a philosophy whether you take or don’t take supplements. I think you should get all the vitamins you can from good, real food. But if you’re constantly kiting and working out for more months in a row, sometimes several hours a day, I think that for me personally supplements keep me healthy, fit, more productive and help me recover faster. Note: I’m not a doctor and all those supplements were recommended to me by my personal functional medicine doctor after an extensive blood test (including amino acids) was done. Vitamin C 1000mg Vitamin C and 500mg Bioflavonoids per capsule. Omega 3 Those are the most concentrated EPA/fish oil capsules available. Magnesium I usually buy just the pure magnesium citrate without any sugars or sweeteners added in my local pharmacy in Germany – just make sure you by magnesium citrate which is the highest quality one that your body can use best. Acetyl Cysteine A secret from pro athletes and biohackers to recover faster: take 1,000 mg of the amino acid L-cysteine. It also helps your body to detox faster. Vitamin D3 drops Or as I call it: liquid sunshine. If you’re not chasing the sun year-round or have darker skin which makes it harder for your body to produce Vitamin D3 when you’re exposed to the sun. A high-quality protein powder which has all the essential amino acids and a chemical score over 100, the one I use (available in Germany) has 155 (not vegan). Nalgene bottle 1l Bpa-free bottle, easy to clean thanks to the big opening, perfect to stay hydrated. Bamboo Cutlery (reusable) I take one bamboo spoon, fork and knife with me (even in the hand luggage since it’s just bamboo) to always be able to prepare my own food and not having to use disposable plastic cutlery – it’s cheaper and healthier. I even just throw it in the dishwasher whenever I have one (it doesn’t say it’s dishwasher safe but I did it already a lot of times). Stainless Steel Straws (reusable) To avoid plastic trash I take those with me on my travels, they come with a handy little brush to clean. Water UV Purifier To use for roadtrips to purify clear water. Or as I do it to drink water from the tab: I purify the water first and then filter it with this special filter to avoid drinking water from plastic bottles and producing new plastic trash. This only works if the water is clear, if you can see particles fying around it you have to filter it first with a pre-filter (which btw also fits with the 1l Nalgene bottle I linked above). Water filter After purifying the water or back home with the tab water I use the filter to have a good quality drinking water. The filter removes more than 99 % of substances such as cadmium, lead, uranium, chlorine, drugs and hormones. High Speed Blender My secret to healthy food in seconds: just blend it! 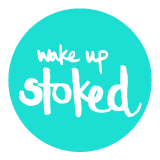 Anything from green smoothies to homemade guacamole, hummus, dips etc. This one is extremely powerful while still being the smallest with this high performance. It weighs 2,6 kg (5.7 lbs). Veggie Spiral Slicer I’m usually a lazy cook, when I come back from a session I need food quickly – this little and light device helps you to make veggie spaghetti (out of zucchinis, carrots, sweet potatoes for example) in seconds. Genmaicha Tea a.k.a Popcorn tea. It doesn’t feel like home unless I have a cup of Genmaicha (loose Green Tea with roasted rice and popped rice – sounds funny, tastes like heaven to me) in the morning. It’s my favorite way to start the day. Make sure to choose an organic one otherwise it’s full of pesticides.